Company Name Xingtai Jinguangming Trading Co., Ltd.
Brief Introduction: Sodium lignosulphonate is a kind of natural anionic surfactant of high molecular polymer. 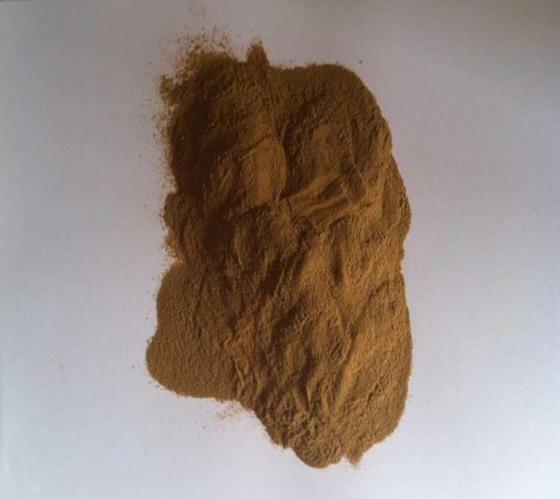 And sodium lignosulphonate is rich in sulfo group and carboxyl and has better water-solubility, surfactivity and dispersion force, made by a process of filtration, inspissation, chemical modification and spray drying . sodium lignosulphonate series products can be applied as common water reducing admixture and built material of series multifunction high-performance water reducing admixtures. sodium lignosulphonate series products can be adopted as the adhesives in the briquetting procedure in the vertical retort zinc smelters. It's also can be used as embryo reinforcing agents in the fields of pottery and porcelain and refractory materials. Reduce about 10%-12% water consumption, improve the workability and water of concrete, reduce the initial heat of hydrationof cement. If you add sodium lignosulphonate in the process of producing coal water slurry, it can increase the output of the mill,maintain the normallization of the system, reduce the power consumption, and improve the thickness of coal water slurry. In the process of gasification, it also can reduce oxygen and coal consumption, improve the efficiency of cooled coal gas and reduce the viscosity of coal water slurry to a certain extent so as to make it advantageous to reserve and transport. It can be used in the production of deflocculant ,dispersant and bulking agent of pesticide to improve the suspensibility and wettability of wettable powder. (4)sodium lignosulphonate is a good reinforcing agent of refractory material and ceramic. 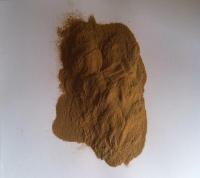 Usually, sodium lignosulphonate can make ceramic atom hard felted to build up the intensity of ceramics in the manufacturing process of wall brick and firebrick when the temperature is under 400 degree centigrade, and also can disappear automatically if the temperature is between 400 and 500 degree centigrade. When its volume is 0.2%-0.8% of the dry adobe material, the intensity of ceramics adobe can increase more than 20%-60%. But in the manufacturing process, the speed of temperature elevation can't be too fast in order to avoid spumescence of surface. It can be used in the press of iron breeze, powered coal, sand mould of cast iron and steel, groud tile, etc. It has highest stability and intensity and also can lubricate matrixes. It can be used as dispersant and viscosity depressant in artsian well to ameliorate the fluidity of transportation of crude oil and reduce energy loss. It can be used as purificant, dispersant, antirust, anlistatig of petrochemicals. Packing: Packed in plastic film bag wrapped with plastic woven sack with a net weight of 25kg each. Storage:Kept in dry and ventilating place, prevent from rain and moisture when storage; if agglomerated, please crush and make it into solution, and its effect will be the same. About Xingtai Jinguangming Trading Co., Ltd.
We are Xingtai Jinguangming Trading Co., Ltd. which is specialized in producing and exporting high-quality, MetalIntermediates, Chemicals, Rubber, Plastic and so on. Our products are produced by the best technical team with advanced equipments and qualified management which meets the requirements of security and environmental protection. We have earned customers trust and have created a good reputation during these years. We will provide the most comprehensive products and service to you! We are looking forward to establishing a pleasant cooperative relationship with you.